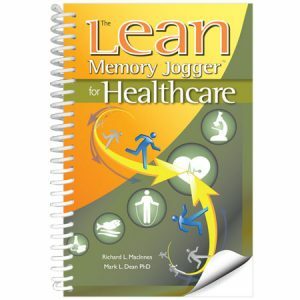 An updated Second Edition is available! This book will be going out of print as of June 3oth 2017. 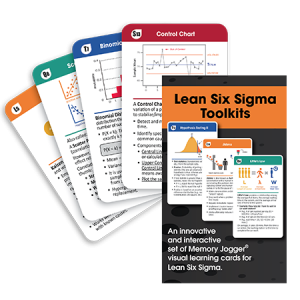 A low cost tool that can bring you Six Sigma success. 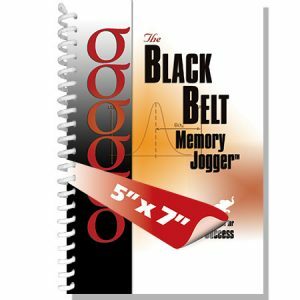 Help all of your Black Belts become the teachers, mentors, and leaders you know they can be. 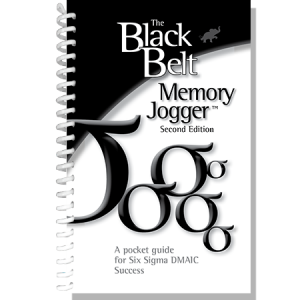 Starting with a clear depiction of the DMAIC model and the roles and responsibilities that help ensure that Six Sigma methodologies become ingrained in the organization, The Black Belt Memory Jogger clarifies concepts and tools, from Critical To Flowdown through Control Plans, illuminating these methods in 25 detailed chapters for Six Sigma know how. 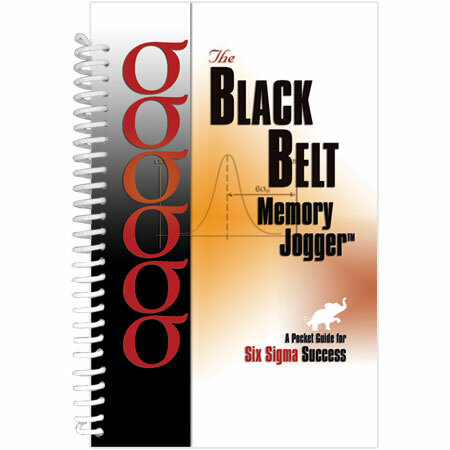 No Black Belt should undertake a Six Sigma project without a copy in his or her pocket. 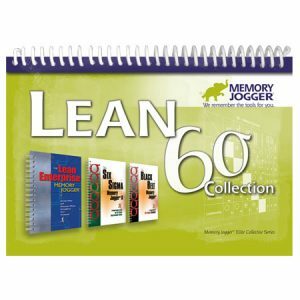 As a quick reference under tight time line it will help keep projects and concepts on track. 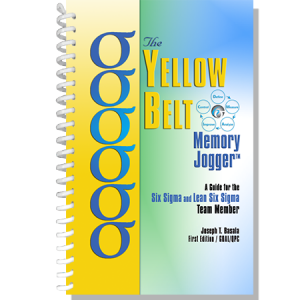 As a teaching tools for team members, it has no equal; comprehensive yet concise, and written from a training perspective so every topic and every page goes quickly to the critical point of interest. 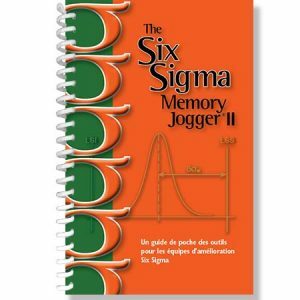 It is the perfect place for mentor and student to come together and begin to build new levels of Six Sigma success.